What has been maintained at West Wimbledon as with our other venues is the WOW factor. 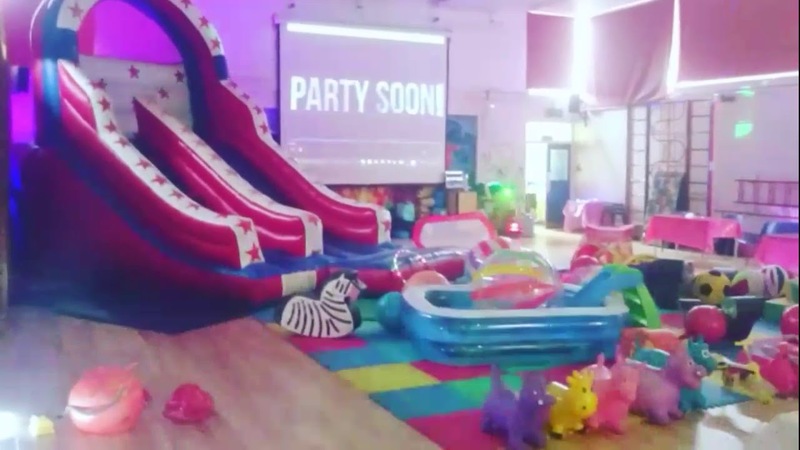 The combination of the mega slide, soft play, ride ons, toys, audio/sound system and lighting makes this venue, like all the others really visually impactful when you first see it. With built in disco lighting, and a big screen this combined with professional delivery of any of our 3 different parties makes these venue absolute cracker. Also great about this venue is the size of the car park. It doesn’t matter how many cars arrive on the day of your party, parking will never be an issue. But just like all of our other venues, West Wimbledon Primary School is already proving to be really popular. Please try to get in touch with us about 8 to 10 weeks before your party date to avoid disappointment and to have a choice of party times and days. If you any questions about West Wimbledon Primary School or any of our other parties or venues then please contact us. Call on 07841 748359 or email via our Contact Us form which is below if you are on your phone or to the right on a desk top.